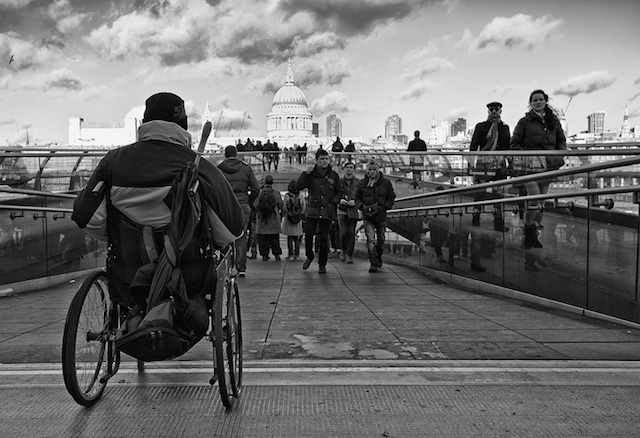 For some disabled people, the difficulties they encounter accessing parts of London prevents them from trying out new places. Now, a dedicated day aims to open up new opportunities to sample some of the capital's best sites. The first Disabled Access Day takes place on Saturday, with many venues and businesses holding special events to encourage disabled people to visit. Plenty of London venues are taking part. Some are offering free entry to disabled visitors and their carers — which doesn't really do anything to help the problem of access, but certainly encompasses the aim of the day. It's worth pointing out that participation by a venue doesn't necessarily mean that it's normally off limits to disabled people. St Paul's Cathedral — which has recently appointed a new accessibility advisor — will go further than its usual audio description guide and British Sign Language multimedia tours, by offering touch tours for those with visual impairments. Free access for disabled people and their companions all day. Disabled visitors to The Queen's Gallery at Buckingham Palace can prebook for a free ticket. Expect a programmed of amplified short talks for visitors with hearing loss and verbal description for visually impaired visitors. Borough Market's demonstration kitchen focuses on taste and aroma; chef Celia Brooks will be cooking up snacks focusing on the five tastes — saltiness, bitterness, sourness, sweetness and umami. The demonstration will be translated by a sign language interpreter. It is hoped that if the event is a success, it will become an annual occurrence. Quite why access to certain venues and activities for disabled people is limited to one day a year is beyond us, but the event is clearly a good opportunity to highlight the access problems faced by disabled people on a daily basis. The Disabled Access Day website offers this map of events going on in London. Disabled Access Day takes place on 17 January. See a full guide to what's going on in London.